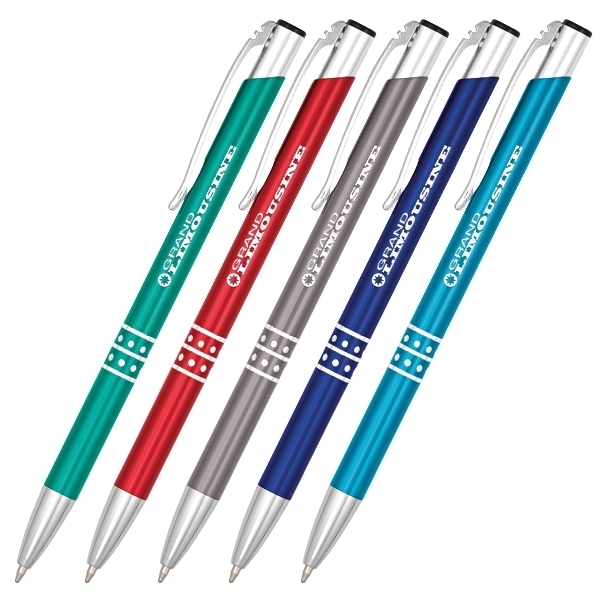 Retractable ballpoint pen featuring a slim design and chrome accents. Choice of black or blue ink. Patent pending. Price Includes:Graphic and up to 2 lines of text. Ship Weight:5 lbs, Ship best way available via UPS or LTL Carrier if you do not designate a specific carrier and/or method. Most orders over 150 pounds will be shipped by truck LTL. Price Includes: Each. Add 2 days to production time.